We were recently invited to Edinburgh to attend the prestigious RSPB ‘Nature of Scotland’ 2017 Awards ceremony. We were attending this brilliant event as our WiSe Scheme marine ecotourism training project had been short listed in two award categories, Marine Conservation and Nature Tourism. A glance at the sheer quality of the competing projects that we would face was humbling, to say the least – the competition was stiff. 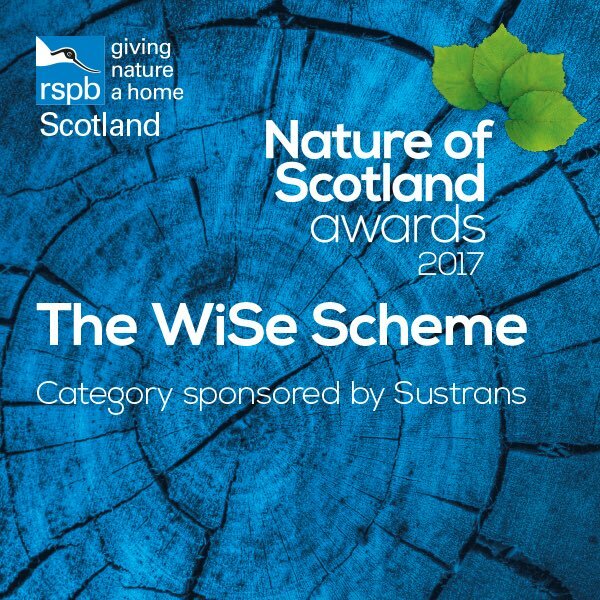 So it was a very proud moment when the announcement rang out that WiSe had won the ‘Highly Commended‘ award in the Nature Tourism category. 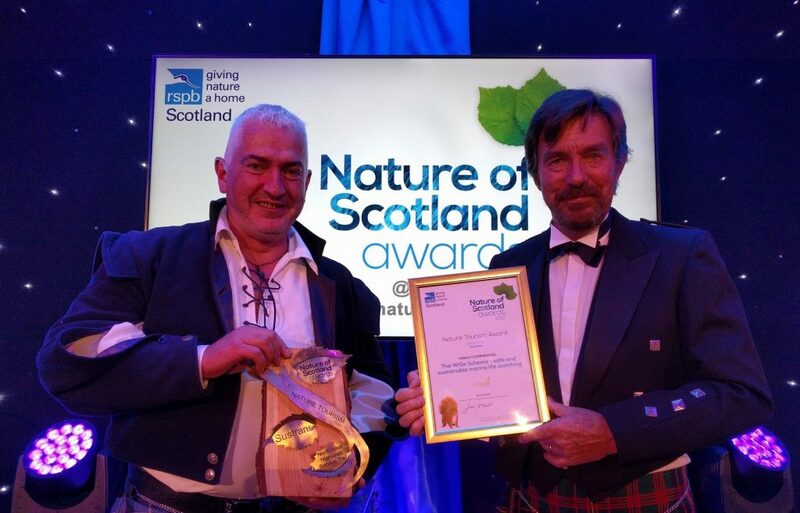 It was a great pleasure to share the limelight with the top award-winning project in our category, the North West Highlands Snorkel Trail run by the Scottish Wildlife Trust. This excellent project was represented by our good friend Noel Hawkins on behalf of the Trust, and we were by no means disappointed to have been beaten by such a brilliant and well-executed project. The event was a remarkable celebration of the breadth of conservation activities and leaders that Scotland has to offer. Thanks to RSPB Scotland for considering us amongst such exalted company, and congratulations to all other category Winners and Highly Commended. WiSe has been running courses since 2003, specifically in Scotland since 2006. During that time we have trained commercial boat operators in safe and sustainable wildlife watching techniques from Jersey to the Orkney Isles, in conjunction with our partner organisations in every region. We share our Highly Commended accolade with each of them – thank you.